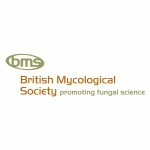 The British Mycological Society is the worlds largest charity dedicated to raising awareness of fungi and fungal science. The British Mycological Society is a Registered Charity (No 276503) open to all who are interested in promoting and learning about the exciting world of fungi. It has member sections devoted to particular aspects of the fungal world including cutting edge research into many aspects of fungal science, the conservation and recording of fungal fruitbodies and the provision of educational resources for use at all ages and experience. If you are working with, fascinated by or wish to learn about fungi joining the Society can help further your knowledge or career. The Society was founded in 1896 to promote the scientific study of fungi in all their diversity. Since then it has grown to be one of the major mycological societies in the world. The word ‘mycology’ should not put you off, because just as astronomy is the study of the stars, mycology is the study of fungi.